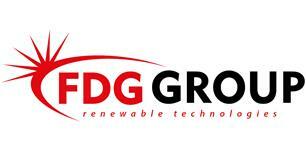 Here at FDG, we offer a bespoke service from start to finish. For our customers, we design and build systems for all types of projects from commercial to residential properties. As experts in all roof types, we offer a range of products and services to reduce bills and carbon footprints. As Solax premium and Soltaro installers, we specialise in generating power and storing it with the latest generation of battery solutions. We can upgrade lighting, water heating, SMART boilers and Air Source Heat pumps with innovative products to make further savings in your home or business. We pride ourselves on being at the cutting edge of technology and industry, knowledge to deliver one of the best services throughout and beyond the installation. With free quotations and competitive prices for the best renewable products. We offer Ten-year insurance backed guarantees with HIES and are accredited and regulated by the Financial conduct authority as we can offer low-interest finance options. We are the right choice for renewable energy and are always at your service. We operate in the East Midlands but we have extended our range due to demand. We will assess any property even if you have been previously told that it is unsuitable. We have a combined sixty years of experience and specialist solutions we will take on projects others will not. Thank you for reading please feel free to contact us for a chat.